The various efforts in diversifying local economies in most Gulf States led to the emergence of new medium to high-income groups of migrant knowledge workers whose efforts are required to develop various new economic sectors. This paper aims to investigate the current housing conditions and perceptions of these migrant communities to identify key similarities and differences with respect to housing made available to them and depending on their cultural background. To this end, the methodology involves field surveys to explore the three main housing typologies for higher-income groups and a questionnaire with a total of 258 knowledge workers in the city of Doha as a representative case to investigate the associated perceptions of four dominant groups from different cultural backgrounds. The findings reveal that there is a distinct social segregation between cultural groups, which is mainly rooted in varying income levels. Furthermore, the supply-driven market has hardly integrated cultural needs of migrants and thus diversified and inclusive housing has been identified as major planning and design challenge. The introduction of new housing typologies in emerging cities is rooted in dynamics including infrastructural investments, urban growth rates and new development policies. In accommodating new lifestyles, demand-driven patterns by tenants and property owners are the main factors consolidating development trends in future. This paper explores the relationship between new lifestyle patterns and housing typologies in emerging cities. Within the context of Gulf cities, namely Dubai, Abu Dhabi, Doha and Manama, this paper investigates demographic structures and housing trends where a rapid phase of urban growth has transformed local urbanism. Current social structures were analysed by following a new ‘lifestyle framework’ resulting in the characterization of four main lifestyle trends. This is coupled with the assessment of 240 cases of new residences from the Gulf cities under study. The juxtaposition of both studies offers an outlook relevant to the importance of a transition from supply-driven to demand-driven housing dynamics to accommodate emerging multicultural societies. The paper thus contributes to a better understanding and identification of the social groups that are currently lacking suitable housing. Preventing the complete social restructuring and the relocation of migrant communities from traditional cores in Gulf cities to newly urbanized areas is a rising urban and social challenge. The Al Asmakh district in the old centre of Doha is an important example that manifests the current encounter between rising investment pressures and preserving the local identity including the particular urban life and spatial settings that have evolved over several decades. This paper presents key research findings with respect to the lived urban spaces of the Al Asmakh in order to exemplify the potential loss of very distinctive neighbourhoods and to introduce particular characteristics of urban spaces and the way migrant communities appropriate them. As part of a learning experiment undertaken at Qatar University in 2014, structured field surveys, systematic observations as well as behavioural mapping techniques were adopted as important approaches to investigation. 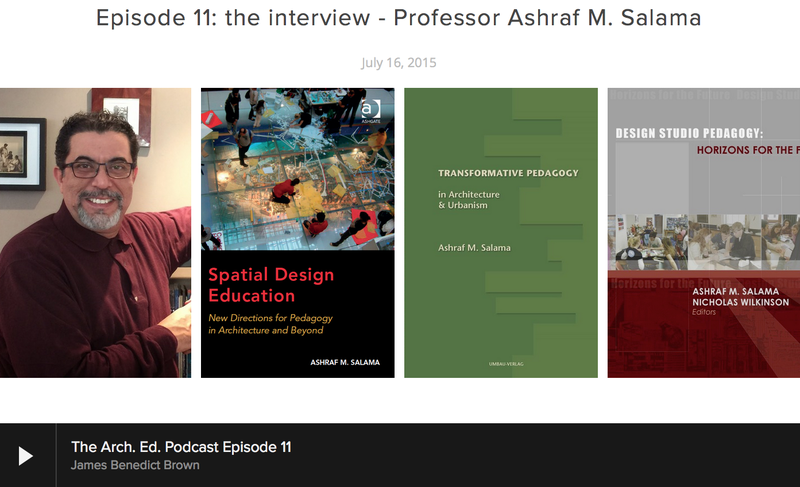 The outcomes reveal stimulating dynamics between migrant communities and their environments. It also postulates that city residents have the capacity to recover swiftly from difficulties and resilience in spite of an impeding and hampering context. The paper concludes with projections of how contemporary transformation processes in Gulf cities will have to be based on diversity and social inclusion. Such a transformation should stem from the recognition that migrant communities need to have access to develop their own settings that relate to their routine spatial practices while securing the economic basis of many migrant labourers. Salama, A. M. (2016). Nationalist Particularim and Levels of Legitimizing Architectural and Urban Traditions in Four Gulf Cities. Traditional Dwellings and Settlements Review Working Paper Series, Volume 272. ISSN # 1050-2092. This article interrogates acts and levels of legitimizing traditions with the aim of originating discerning accounts from the perspective of ‘Modern State’ and ‘Nationalist Particularism.’ The analysis is undertaken at three different but related levels: chronological, representational, and interventional where each places emphasis on a particular aspect of legitimization. Gulf cities are identified as an appropriate context for this investigation, which is based on a multi-layered approach that interweaves procedures devised to probe each level separately while contributing to portray the overall milieu of legitimizing traditions. Genuinely legitimizing traditions necessitates employing bottom-up strategies while going beyond the practice of cloning traditions to embrace authentic responses to environmental, socio-cultural, and socioeconomic realities. Wiedmann, F., Salama, A. M., and Ibrahim, H. G., (2016). The Impact of Affordable Housing Developments on Sustainability in Gulf Cities. Open House International, Volume 41, Issue 4, PP. 31-38. ISSN # 0160-2601. The recent construction boom has led to new urban development dynamics in Gulf cities driven by real-estate speculations and large infrastructure investments. While in the past affordable housing for medium income migrants and their families was integrated within the fringes of old downtown areas and compound developments in the suburbs, recent investment patterns have led to an increasing challenge of these economically highly engaged social groups to find residences. In recent years, a newly emerging trend in the Gulf region has been the establishment of large scale mass housing projects as new dormitory settlements to address the growing demand for affordable housing. This paper presents an overview of current development patterns by exploring two major affordable housing projects and their impact on sustainability in Doha and Dubai This is undertaken by establishing a preliminary assessment framework that involves relevant sustainability parameters. The assessment reveals the major differences between both projects and their impact on environment, economy and society. This paper traces the evolution of housing typologies in four major cities in the Gulf region, namely Doha, Dubai, Abu Dhabi and Manama. The study reviews the formation and historical events in the region, which had a significant impact on new social as well as economic realities and consequently evolving housing types during the last two centuries. The methodological approach is based on reviewing a number of case studies representing local housing typologies throughout distinctive historic periods which were categorized in four periods: the post-nomadic, traditional, modern, and contemporary. The main objective is to identify the process of transformation by applying a comparative assessment of the different periods in order to examine continuities or ruptures between them. Thus, particular layout elements were analysed and compared. Conclusions are drawn to underline contemporary challenges while offering projections for future housing typologies in the selected cities and other similar ones. Salama, A. M. and Wiedmann, F. (2016). Perceiving Urban Liveability in an Emerging Migrant City. Urban Design and Planning. ISSN # 1755-0793 http://dx.doi.org/10.1680/jurdp.15.00034 . Gulf cities have witnessed rapid urban growth where new migrant communities from various cultural backgrounds have been evolving over the last two decades. This paper explores perceptions of liveable urban environments in Qatar's capital city, Doha. An attitude survey of 280 migrant professionals from different cultural backgrounds engaged in the high service sector was conducted. A profile for each cultural group including westerners, middle easterners, Indians and Southeast Asians was developed to analyse the way in which the key liveability factors are perceived. Factors were classified into two overarching categories: urban life and urban spaces. Urban life category included aspects that pertain to traffic and movement experience, residential satisfaction, shopping experience, and satisfaction regarding leisure and service spaces. Urban space category included attractiveness, iconicity and familiarity, which were attitudinally explored in four public open spaces. The inquiry has uncovered a number of concerns related to traffic experience, housing quality, parking spaces, school facilities and shopping opportunities. This may stymie the city's global attractiveness success on the global stage while warranting the need for addressing liveability as a part of future development plans. Wiedmann, F., Salama, A. M., and Ibrahim, H. I (2016). The Role of Mega Projects in Redefining Housing Development in Gulf Cities.Open House International, Volume 41, Issue 2, PP. 56-63. ISSN # 0160-2601. Since the end of the 1990s, large-scale mega projects have been initiated in Gulf cities to enable an unprecedented urban growth and the expansion of new economic sectors. In this respect, mega projects have played a key role in redefining housing developments in Gulf cities. This paper explores the newly emerging housing typologies and their distinctive roles in defining new urban environments. The selected case studies are located in the Jumeirah District in Dubai, which can be seen as the first prototype of a large cohesive development area that has been built of nine rather differing mega projects including the iconic Palm project and one of the largest residential high-rise agglomerations in the Middle East. The paper is based on the evaluation of official planning data from each project as well as field observations. Conclusions are drawn to highlight key implications while identifying housing development tendencies. Salama, A. M., Wiedmann, F., Thierstein, A., and Al Ghatam, W. (2016). Knowledge Economy as an Initiator of Sustainable Urbanism in Emerging Metropolises: The Case of Doha, Qatar. Archnet-IJAR: International Journal of Architectural Research 10(1), pp.274-324. ISSN # 1938-7806. 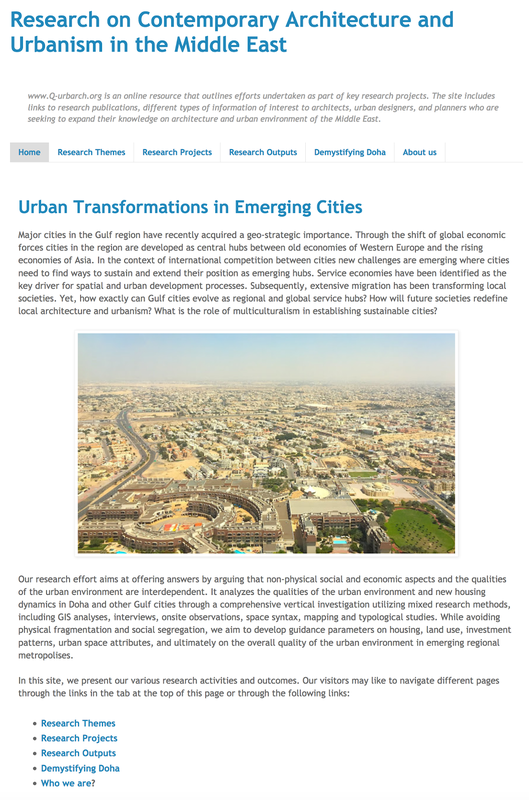 This paper is a comprehensive coverage of a research project of the National Priority Research Program of the Qatar National Research Fund, entitled 'Investigating the Qualities of the Urban Environment in Emerging Regional Metropolises', and carried out between 2011 and 2014 through the joint collaboration of Qatar University and Technische Universität München. Through the shift of global economic forces Gulf cities, such as Qatar's capital Doha, are developed as central hubs between developed economies in the West and the rising economies of Asia. In the context of international competition between cities new challenges are emerging where cities need to find ways to sustain and extend their position in a globalizing world. Therefore the research process placed emphasis on the complex interrelationship of knowledge economies and spatial developments in the Gulf region. The work is premised on the assumption that non-physical economic aspects and the qualities of the urban environment are interdependent. 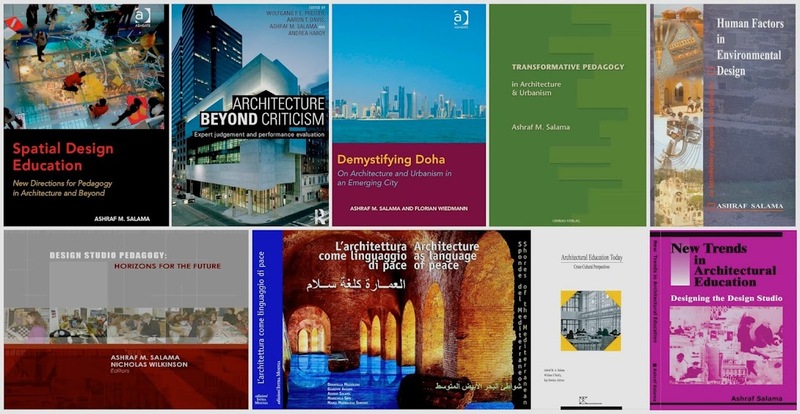 It analyses the qualities of the urban environment of Doha as an important regional metropolis through a comprehensive investigation utilizing a set of interdisciplinary research methods that include analysis of historic documents, Delphi interview series, company network analysis, GIS analysis, cognitive mapping, behavioural studies, media surveys, attitude surveys, and space syntax analysis. The outcomes promise important results regarding urban qualities in the city of Doha culminating into various recommendations aimed at potential beneficiaries including public sector organizations, private sector and real estate development companies, and academia. Salama, A. M. (2015). Urban Traditions in the Contemporary Lived Space of Cities on the Arabian Peninsula. Traditional Dwellings and Settlements Review 27(1), pp. 35-53. ISSN # 1050 2092. This article aims to answer the question “Whose tradition?” in relation to the contemporary architecture and urbanism of the Arabian Peninsula. It first contextualizes tradition in the region within the geocultural politics of the Arab World and identifies key factors that shaped its traditional settlements, including tribal governance, social systems, building materials, and construction techniques. The article then contends that the region’s urban traditions have been transformed from ones shaped by common people to ones shaped by the elite, in which the role of rulers is heavily emphasized. To explore this view, it analyzes two representative scenes in the contemporary urban lived space of the region, using examples from Dubai and Doha. These are articulated in terms of the emergence of elite enterprises, persistent patterns of social and ethnic segregation, and a continuing struggle to construct identity. Conclusions drawn from the discussion delineate key answers to the question “Whose tradition?” But a framework of examination is also introduced that emphasizes that lived space and the traditions that ensue from it cannot be seen in isolation from other types of space — such as conceived and perceived space. There needs to be a new cycle of knowledge production about cities in the region that integrates concern for all three (lived, conceived and perceived space) to better understand its traditions. With accelerating pace in the past years, Qatar has strategically pushed forward its economic diversification. According to Qatar's long-term development vision, the knowledge-economy is taking a key role within this economic diversification process and the transformation of its capital into a regional as well as global service-hub. This paper aims at identifying emerging knowledge-based patterns that drive the Qatari space economy. We apply a research concept that brings together two different scientific angles: relational economic geography and physical urban development aspects. The results indicate first a subsidiary role for the Qatari knowledge intensive firms within the Gulf region; second their predominant connectivity patterns to Europe and South-East Asia; third as a distinct lack of urban amenities and qualities for knowledge workers. With intensive emerging and transforming urban spaces and centres, the city of Doha is experiencing continual rapid growth. However, minor attention has been paid to important growth aspects. This paper examines functional, social and perceptual attributes of three urban open spaces in the city by developing and implementing a walking tour assessment procedure composed of checklists and a scoring system. Results reveal important outcomes including the absence of landscape features and a dearth of green spaces or appropriate outdoor furniture, the absence of adequate shaded areas and shading devices and parasols and a lack of children's facilities or a specially designated area for children among other missing elements. These represent shortcomings that impede the maximum efficient and effective utilisation of such spaces. The paper suggests that opportunities to concretise and fulfil people's needs in open spaces should be underscored by urban planners, architects and policy-makers in a multicultural rapidly growing city. Salama, A. M. (2014). Interrogating the Practice of Image making in a Budding Context. 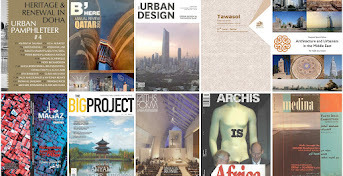 Archnet-IJAR: International Journal of Architectural Research, 8(3), pp.74-94. ISSN # 1938-7806. Image making is a continuous worldwide practice of architects and designers whose concern is to create meaningful environments. Such a practice results in expressions that either reflect the regional context or mirror the wider global culture. This paper aims at interrogating image making practices in the city of Doha, which has experienced rapid urban transformations, associated with building large scale work and learning environments, mixed use developments, and cultural and sport facilities. Contextualizing current debate on Doha’s architecture and urbanism, a critical analysis of geo-cultural politics and on the notion of the 'scapes of flows' is undertaken. Based on contextual, critical, and perceptual approaches image-making practices in the city were discerned. Different types of efforts were categorized and critically analyzed underlying the contextual and critical approaches. The analysis reveals that efforts range from utilizing symbolism in contemporary imaging, to manifesting tradition-modernity in search for image identity, to addressing the global condition towards image making. The perceptual approach established empirical evidence by investigating users' reactions to three notable office buildings that their design attempts to evoke a unique image. This was supported by statements made by CEOs of architectural firms and development companies that reflected a promise towards image making in the architecture of Doha. A concluding critique is introduced to elucidate that while there are incessant attempts at image making, the practice of 'cutting and pasting' dominates in the absence of critical consciousness. Such a critique calls for avoiding 'case by case decision making' the urban governance in the city still adopts while engaging effective place making strategies. Various urban qualities are required for sustainable urban development, which is a particular challenge in the case of emerging cities such as Qatar’s capital, Doha. Therefore, this paper seeks to introduce a framework concerning how to investigate urban qualities and their production in space in order to clarify the challenges and limitations of planning for sustainability. 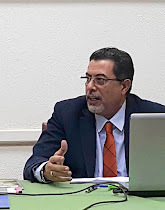 The paper is based on analyses and evaluations of GIS data as well as a series of interviews with 10 planning experts at the Ministry of Municipalities and Urban Planning and a series of questionnaires received from 350 inhabitants. After introducing the basic framework as a model, the three dimensions of sustainability – ecological efficiency, economic growth and social equity – are analysed in relation to the urban qualities needed for producing them. In conclusion the general challenges in establishing sustainable urban development mechanisms in Doha are discussed.